Learn what it's like to be a student at AUC, including living in St. Maarten, opportunities for community involvement, and clubs and organizations. American University of the Caribbean School of Medicine (AUC), founded in 1978, is one of the oldest Caribbean medical schools. The Caribbean setting offers students the opportunity to learn in a unique environment featuring cultural diversity, beautiful scenery, and a vibrant local community. 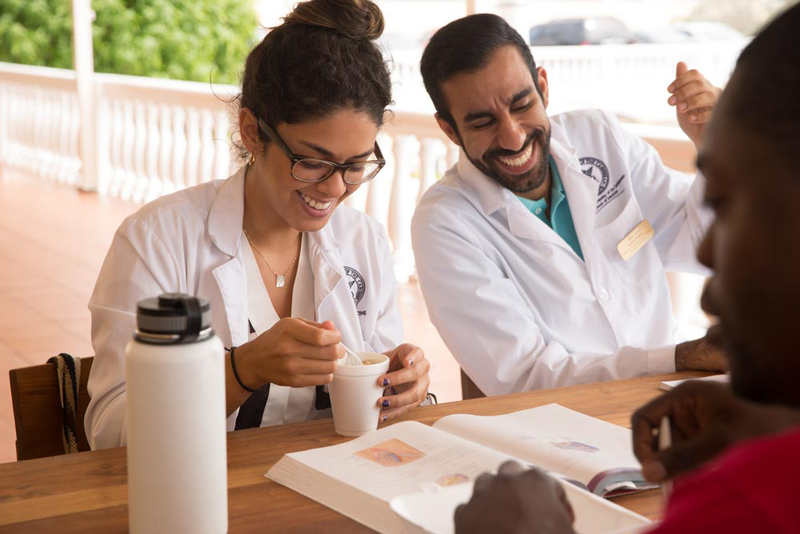 Life on St. Maarten is much like AUC's academic experience—both connect you to a vibrant, friendly and intimate community. AUC students are exceptional inside and outside of the classroom. Explore the variety of ways you can get involved. Relocating a family presents its own challenge when attending medical school. Get advice ahead of your move and support on adjusting to life on the island.